Well before “niche fragrance” meant anything to anyone, L’Artisan Parfumeur were doing their own thing. With over forty years in the business of fine fragrance, L’Artisan Parfumeur believe absolutely in the power of quality and wearability. Sometimes, an excellent reputation is all the advertisement you need. A brand well-loved by fragrance connoisseurs, they have a track record of causing revolutions in the perfume world. The first known fig fragrance was a signature creation of L’Artisan’s founder, French chemist Jean Laporte. This fragrance was Premier Figuier, which remains to this day a classic for those who love the sunshine warmth of fresh figs, and is still one of the best-sellers from L’Artisan Parfumeur. In the early seventies, L’Artisan also designed a new form of home fragrance in the form of the amber ball, which filled a room with the sweet smell of ambergris over years. A tireless adventurer, L’Artisan Parfumeur fragrances are inspired and informed by travels all over the world. With a knack for making the astonishing wearable and inviting, L’Artisan always start with a single idea and approach it with complete freedom. This process ensures that L’Artisan Parfumeur fragrances are always unique. A stand out brand, particularly in a world so full of mass-market copycat fragrances. What are the top must-try fragrances from L’Artisan Parfumeur? I’m looking for something daytime appropriate, with a classic clean wood finish. Try L&apos;Artisan Parfumeur Un Air De Bretagne. It is the scent of fresh air and high spirits. L’Artisan have captured a perfectly modern vibe inspired by the wild Brittany coast. I prefer something floral and fresh. Inspired by childhood memories of lazily chasing butterflies in the sun, L&apos;Artisan Parfumeur La Chasse Aux Papillons is an airy composition that features tuberose, orange blossom and jasmine. I’m not sure what I want, though L’Artisan intrigues me. L&apos;Artisan Parfumeur Discovery Set is a wonderful gift, or fragrance library for yourself. Ideal as an introduction to one of the best niche fragrance creators, L’Artisan does not disappoint. This perfume is exactly what velvet would be like if it was a smell - a bit decadent, really plush, and soft and luxe but not sweet. I reeeeally like this scent, it&apos;s probably my favourite out of everything I&apos;ve tried from L&apos;Artisan. It&apos;s just a touchy smoky but a clean kind of smoky. This is 100% an autumn and winter scent for me - I like perfumes that make me pretend I&apos;m all cosy in front of a fire drinking wine, even when I&apos;m waiting for a tram when it&apos;s drizzling and 5 degrees. You could wear it day or night but personally I prefer it to day - it&apos;s more toned down than my favourite night fragrances like Memo Paris French Leather. 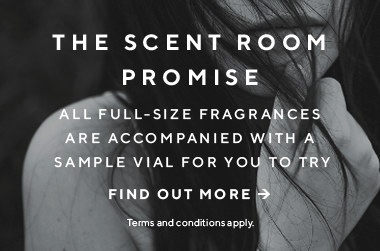 On me it sits quite close to the skin, and doesn&apos;t last for a super long time, but I don&apos;t mind - not every fragrance needs to announce it&apos;s presence at every minute of the day.